Please select options for MMD Hood Vent Louvers - Matte Black (05-12 GT, V6) at the top of this page. 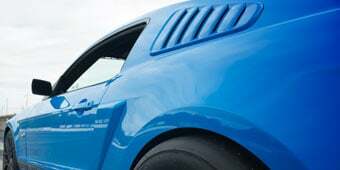 Hey I’m Justin with AmericanMuscle.com, and I’m checking out an aggressive 2013 inspired part for your early S197, I’m talking about MMD’s hood vent louvers available pre painted, or matte black, fitting all 05-09 Mustangs. Whether you’re looking for an over the top show part for your car or a functional factory inspired part like these hood vents, MMD definitely has you covered, they’re the leader in producing unique styling parts specifically for your late model Mustang. To check out more stuff from MMD including their 2013 GT project car, you have to subscribe to our YouTube channel if you haven’t done so already, simply by clicking on the banner below. 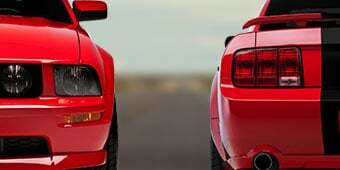 When you ask a lot of Mustang fans what they prefer most with the new 13 and 14 Mustangs, of course a lot of people point to the addition of the new cool tail lights, but a lot of people point out the functional hood vents on the 13 and 14 GTs. Raxiom took care of the need with the 05-09 tail lights modelled after the 13-14 tail lights, and now MMD has answered the call with these functional hood vents available for all 05-09 Mustangs. The vents are sold in sets of two and are made from extremely durable automotive grade ABS plastic. As I mentioned at the beginning of this video, you do have the option of picking up these vents in a color matched pre painted version, like the grabber blue vents here, or if you want the vents to stand out a little bit more, you can pick up the matte black version which is currently installed on our 06 GT behind me. You guys should all know the deal by now with our pre painted parts, our in house paint booth uses the same base and clear coat that Ford uses in their factories, making for an excellent color match right out of the box. 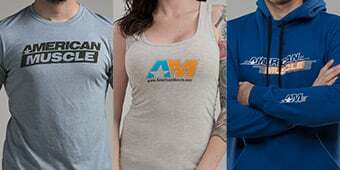 We do carry about every color available for the 05-09 cars but if you do just want to make sure we have your color available and in stock then go ahead and click the link below to head back to the product page at AmericanMuscle.com. Besides the awesome appearance upgrade these vents give your factory hood, it should be mentioned that they are actually functional hood vents allowing all that trapped, hot engine bay air to escape, just like on the 13 and 14 GTs. Opening up the package for the first time you will of course find the vents themselves, in addition to the honeycomb inserts, and all the tape, directions, and supplies needed for the installation. As you may have guessed you will need to do some cutting to fit these vents properly into your factory hood, I know cutting into your hood does sound a little scary but we actually installed these vents into our 06 GT project car behind me, and it really wasn’t that bad at all. You will need to get an angle grinder to make the proper cuts but if you take your time, follow the detailed instructions, you should be wrapped up in a couple of hours from start to finish. As always, please do not hesitate to get in touch with our award winning customer service team, whether it’s about the vents themselves, the pre painting process, or about the actual install they’re only an email or a phone call away. So if you really dig the functional styling of the 13 and up GT hood, and want that same aggressive style for your 05-09 Mustang, then be sure to check out MMD’s hood vent louvers, available pre painted or matte black, right here at AmericanMuscle.com. Intimidating 2013 GT Styling. 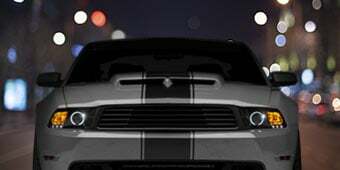 Add the intimidating styling of the 2013 GT to your S197 Mustang with a set of Modern Muscle Design's Matte Black Hood Vent Louvers. These functional MMD Louvers will give your Mustang a much more aggressive appearance and some much sought after attention. Functional Heat Extractors. Keep under hood temperatures in check. These MMD Heat Extractor Vents not only look aggressive, but they’ll allow excessive hot air to escape from the engine bay. 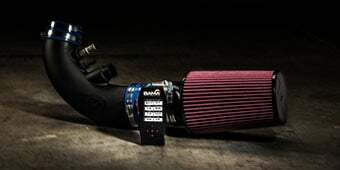 By improving under hood airflow your engine will run cooler for a boost in performance. High Quality Construction. Manufactured from high quality acrylonitrile butadiene styrene (ABS), these MMD Hood Vent Louvers were designed using the original OEM CAD data from Ford to ensure a perfect fit. ABS is an extremely strong material known for its light-weight, superior durability and impact resistance. These Modern Muscle Design Hood Louvers feature a matte black finish for aggressive good looks. Cutting Required for Installation. Installation of these MMD Hood Vent Louvers will require cutting two openings in your Mustang's stock hood. For installation on a 2005-2009 Mustang please view these instructions. 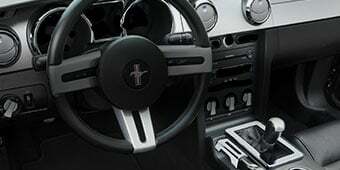 For installation on a 2010-2012 Mustang please view these instructions. Application. This pair of Matte Black Modern Muscle Design Hood Vent Louvers are designed to be a perfect fit on 2005-2012 Mustangs equipped with the stock hood, including the V6, GT, and Bullitt models. Application Note. These MMD Hood Vent Louvers will clear most aftermarket strut tower braces, including the SR Performance model. The bottom of the vent louver can be trimmed for extra clearance if needed. Technical Note. AmericanMuscle recommends professional installation of all body parts. We also recommend test fitting these products before they are painted. For installation a 2005-2009 Mustang please view these instructions. 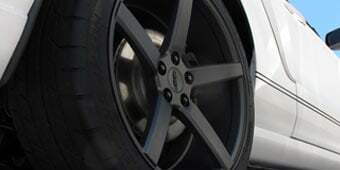 For installation on a 2010-2012 Mustang please view these instructions. These Hood Vent Louvers will clear most aftermarket strut tower braces, including the SR Performance model. The bottom of the vent louver can be trimmed for extra clearance if needed. 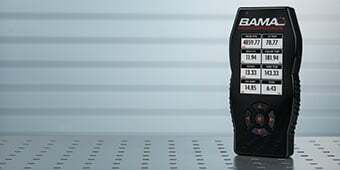 will rain affect my engine i really want to get these but i don't have a garage so my mustang is outdoors at all time just wondering if rain will do anything because the louvers are cut into the hood. There is no danger of water damage with these hood vents. The water will simply drain between the rocker covers and strut towers. They are also installed far enough up on the hood to avoid the air filter. Hope this helps! 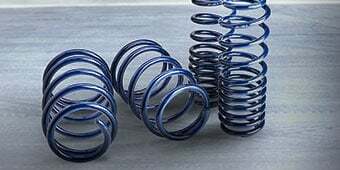 I've had these installed on my '08 GT now for 3 months and my car also sits outside all day. I haven't had any issues with the car and we have been getting a substantial amount of rain and ice lately. rain I am concerned that when it rains, the rain water will soak the engine compartment. Is there any sort of design with these that will prevent rain/car wash from getting into the engine compartment? I was very concerned about it too because I wash my car at least once a week. But it does nothing they have little slots that have air holes in them that help keep it out. Measurement What's the size of the hood vent? The vents themselves are about 18 5/8" X 4 1/4" while the hole cut in the hood is about 17 1/2" X 3 1/4". Will this fit my 2008 mustnag v6? What kind of saw to cut hood? No, The MMD Hood Vent Louvers - Matte Black will be fitted only for the fitment of the 05-12 GT, V6 hoods. Are you supposed to to cut the hood insulation during install? Trimming the hood instualtion would be required for a proper install of the MMD Hood Vent Louvers. Please contact our customer service department so they can offer their assistance appropriately upon your missing templates. Unfortunately the inserts are not currently offered separately. Yes, these hood vents would be car wash safe and there would not be an issue with these installed. The MMD Hood Vent Louvers - Matte Black (05-12 GT, V6) are made of ABS material which is a thermoplastic polymer. They are a type of plastic. We have only tested these vents on the upper part of the hood where its close to the windshield. However, with custom work, you should be able toget this installed where you would like. Depending on where the vents are and what they are open over, may be an issue but as long as the parts are not being drenched in water there should not be an issue. Unfortunately, this hood vent would not work with the 13-14 hoods due to the difference in design and would require modification to get it installed on the 2013-2014Musangs. The MMD Hood Vent Louvers were designed specifically for the 05-12 hoods, and are not recommended for 99-04 hoods. The MMD Hood Vent Louvers are paintable, but will require prep work, sanding, and primer prior to painting. There is no danger of water damage with these MMD Hood Vent Louvers. When installed correctly the water will simply drain between the rocker covers and strut towers. They are also installed far enough up on the hood to avoid the air filter. Hope this helps! They are not designed to fit your 2013. The MMD Hood Vent Louvers are designed to fit the 05-12 GT. Perfect addition to my upgrades. Video showed to install with a angle grinder, but I opted to use a jig saw with fine metal blade. Taped off area marked and out line traced the Louvres drilled a 3/8 hole and just followed lines. Doing so allowed me not to have to remove hood or worry about sparks causing in wanted damage. All I did was put a 4x4 block where the hood would latch allowing for easy clearance and done with both side in about an hour. Perfect fit! They change the whole look of the front end. I love them. It was scary to install them, cutting your hood is never fun. If I did it again I would take it to a body shop. Originally purchased for my mustang. Ran into a few issues with delivery so my wife sold the car. I figured that due to the twin turbos, the vents would/should work on my 2013 F-150. Had them installed professionally for about $300.00. Definitely worth not having to sweat screwing it up myself. I chose the matte black and the compliment the tuxedo black and matte Appearance Pkg. hood decal on my FX4. Seem to decrease underhood temps while adding to the looks of the truck. Just washed the truck today in an in-bay automatic car wash and noticed little water intrusion. Overall, happy with the product. These look great and are not to hard to install. I'm not a auto body guy, but if you take your time and follow instructions it's easy. They work too! You can see heat waves venting from the vents when you are sitting at stop lights or when stopped with the engine hot. Hands down the best part about this is that they are actually functional. If you are using an angle grinder to cut into your hood, make sure you have extra cutoff wheels for it. I made that mistake and had to drive to Home Depot with an unfinished hood. Not the best idea to drive around with a rectangular hole in my hood! haha! Anyways, it looks great now, and the functionality is AWESOME! This vent system was great! It game me to option for placement and it turned out perfect. These look great in person! Take your time with this install. I don't know about the 05-09 hoods but in the 10-12 hoods you have to cut through multiple layers as you will be cutting through some of hood bracing. This will not affect the structure of the hood though. I also had to trim some of the bottom outside of the vents to be able to shut the hood properly. This isn't a problem as they give you plenty of material to trim off. It works on the 10-12 hoods but you will have to do a bit of extra as they aren't a drop in item but so worth it when installed. I live in Tucson, and I was worried about the heat under my hood. These are PERFECT! Took most of the day to install, but well worth it. Yes, I was scared when I first put the grinder to the hood, but patience paid off. I was sceptic about how it was gonna look on my car but after it was done it looks way better. I love the look of them on any hood that I've seen them installed on. 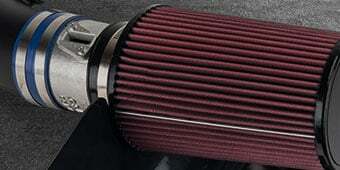 They help the engine compartment breath better. Very good product that looks good and works to get heat out of engine compartment. Great looking Vents..and they are functional which is nice. We live out by Cedar Point and sometimes get stopped in the horrific stop and go traffic out there and with the headers and cams on my car it definitely does not like staying still for too long in the summer heat. Hopefully these Vents help getting some of that trapped heat out. The paint match was perfect and the install wasn't too bad as long as you can get over the fact that you're cutting two big holes in your hood. Looks great, the black mat finish goes along with the rest of the trim, against torch red paint. Looks great! Install pretty easy just tape hood mark for cuts check measurements several times. Used grinder with cutting wheel with hood removed. I did add stainless screws on vents just liked the look on my Black stang. These vents add class, and aggressiveness in a subtle way. Without overstatement, my Mustang turns heads willingly.